I started Trash to Cash to address the issue of unemployment faced by persons with disability. At present I work on developing innovative marketing strategies and on product design. This venture was initiated 18 years after founding the Society for Child Development, where I focused on improving the quality of education of children with disability from poor communities. I hold a doctorate in Psychology and use my understanding of human behavior to analyze situations and drive the venture. This is a great advantage as I am able to devise original solutions to on-going problems. Our work is two-pronged: Firstly, to upscale our already self-sustaining model of employment of adults with disability (especially those who are uneducated) to provide jobs to at least 1000 persons in the next 5 years. Secondly, to showcase this to encourage parents to send their children with disability to school. Our business for employment generation is to create products out of waste using traditional (and low-cost) handicraft techniques. Our strategy uses waste material as raw material to reduce operational costs and increase profits. Traditional crafts persons (who were struggling to earn) are our trainers. Since the products are creative and different, they are frequently reported by the media, which helps reach out to a vast and diverse population. 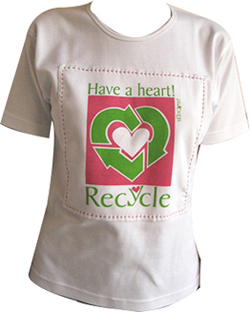 We also provide eco-friendly kits for conferences and seminars. Thus, in 4 years we have established a venture that maximizes profits, employs 87 people (including women) considered to be useless, with raw materials that pollute our waters and lands, to showcase that employment is possible! Since 2008, we have generated $220,000. Encouraging the replication of this model in other parts of India will provide income to many more.